love, laurie: let them eat (pan)cakes! 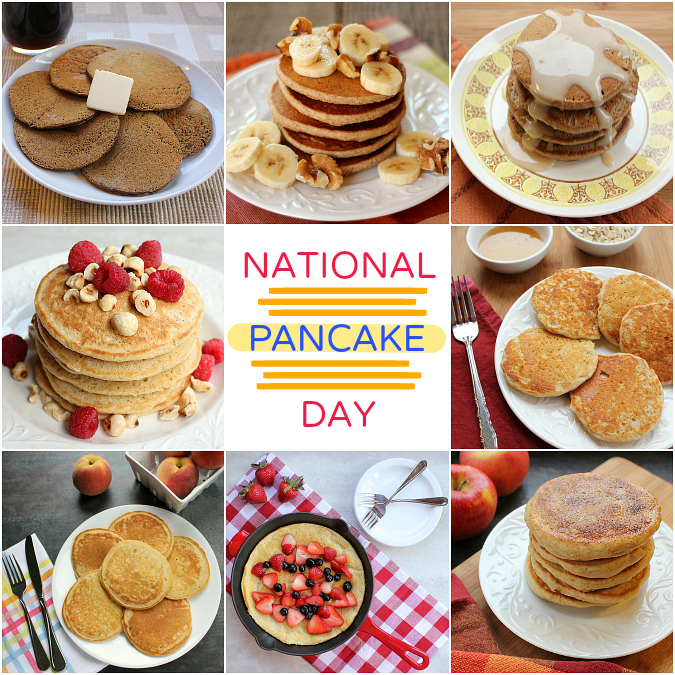 today is national pancake day at ihop! to celebrate, ihop will be giving away free pancakes all day. if you're like us and you don't live near an ihop, you can celebrate at home with your own pancakes. it's no secret that ryan and i are huge pancake fans. here are some of our favorite pancake recipes . . .
ps: today is actually national cereal day too! let's just celebrate with breakfast all day long! Ok I did not know that it was Pancake and Cereal Day. I do not have a problem with breakfast all day.